Put simply, a computer Input Device is any device (hardware) that is capable of sending data into a computer, thus enabling you interact and/or control the computer. There are so many computer input devices now available that we (nobody) can be able to mention them all if asked to. So in this post, we are just going to explain briefly three input device that you know, but might not really know that there are classified as an input devices for computer. We are starting off with mouse. What do you think: Is mouse an input device? Before you answer, let us recite the definition of a computer input device outline above to you: it "is any device (hardware) that is capable of sending data into a computer." So YES should be your answer. A mouse is an input device for computers. A mouse is an input device that enables a computer operator easily control/navigate the graphical user interface of a computer. It is usually held and controlled with hand. 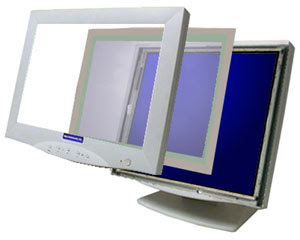 Because the mouse indicator -also known as mouse pointer or cursor- which appears in the monitor of a computer is placed above any other content being displayed on the monitor, there really is no limit to the mouse movement on the computer screen, for it is not confide to a specific location. 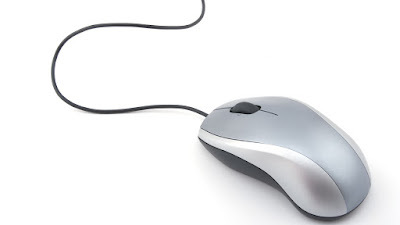 Because a mouse is control with the computer operators hands, it is quite simple to use it and the its speed is mostly determined the the operator. It is best used on flat surface. Though the configuration/shape of a mouse may differ, it basically has two buttons and the command which is executed when those buttons are pressed is dependent on the computer application which it is being used on. A keyboard a computer input device that is design and styled like a typewriter. It's main function is to enable a computer operator feed alphabet, number or even symbols to the computer. The keys in a keyboard is engraved or has a character printed on it, and pressing a key will normally correspond to the character that is printed on it. Depending of the computer program on which a keyboard is using on, the keyboard can as a means to not just for typing but also for triggering computer commands. For example, simultaneously pressing the Ctrl and F key in your keyboard now, will trigger a find functionality in this browser which you can use to locate a specific text in the post you are reading. Also simultaneously pressing the Ctrl and L key in your keyboard now, will highlight all the content of this browser's address bar, so that you can easily copy it or change it. Though the configuration/shape may differ, typically a keyboard looks or contains all the key in the sample keyboard image above. A touchscreen is a computer input device that is normally place on top of the computer's display unit (monitor) which enable the computer operator to input or control the computer using simple and/or multi-gesture touches on the screen whit his/her fingers or with special stylus. Asghar ali, thank you very much for you complement. People who own older computers and upgrade them all the time, understand that they have to be maintained to work and run smoothly. This would be very useful tool for those individual who own a business computer cafe. This is important tool that gives us a backup on our data's that we have sent through using this input device. Just like using the features of the dual mouse for a single unit, we can use features to operate single unit with two persons at a time.